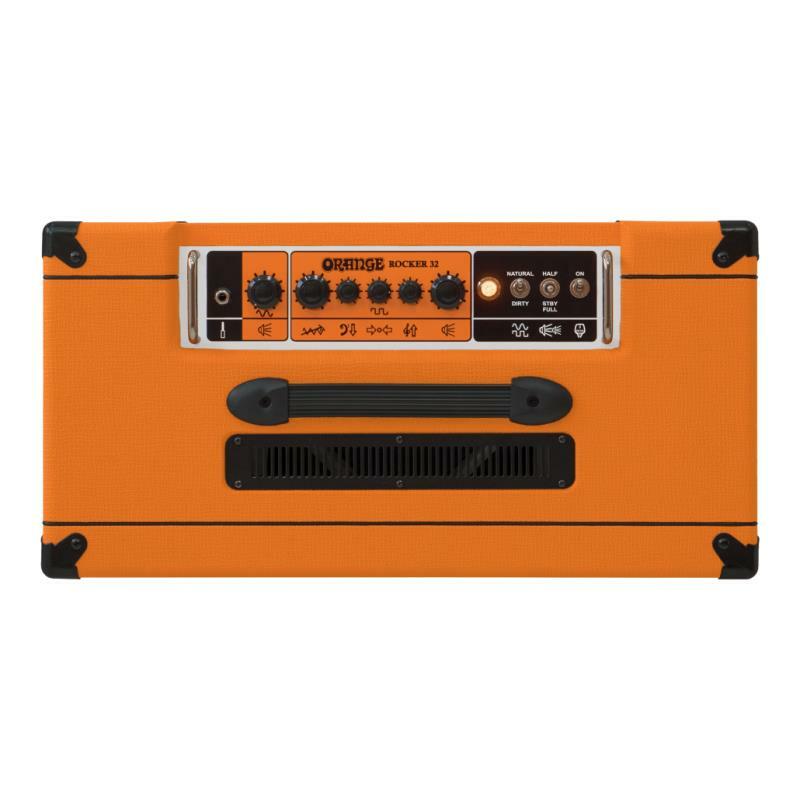 A Bundle deal including the amp and Orange cover. 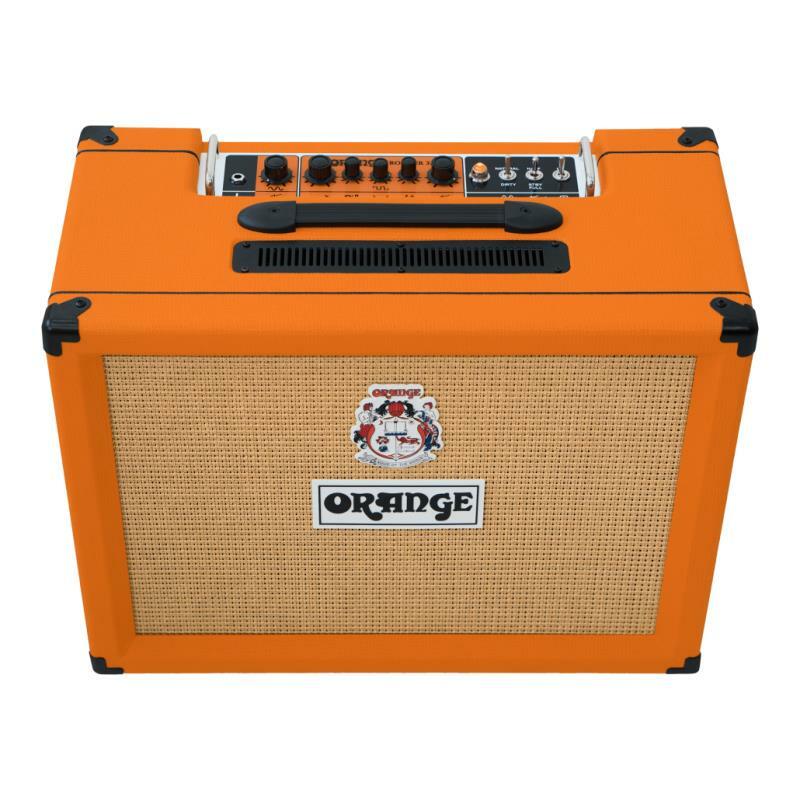 The Orange Rocker 32 is the awesome Stereo follow-up to Orange's modern classic Rocker 30! 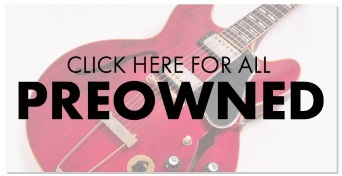 There are some great studio-quality effects for guitarists nowadays with two outputs for stereo operation, but normally you’ll need a pair of amps to take advantage. 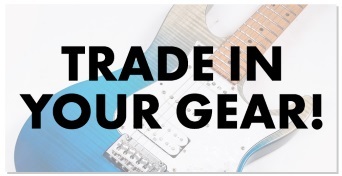 The Rocker 32 features a stereo effects return with two separate valve output stages, so you can unlock full potential of your pedalboard with just a single self-contained stereo combo! With a sensitivity of 101dB, the custom Voice of the World Gold Label 10" speakers make the most of every available Watt, and you’ll soon notice the extra clout on stage. 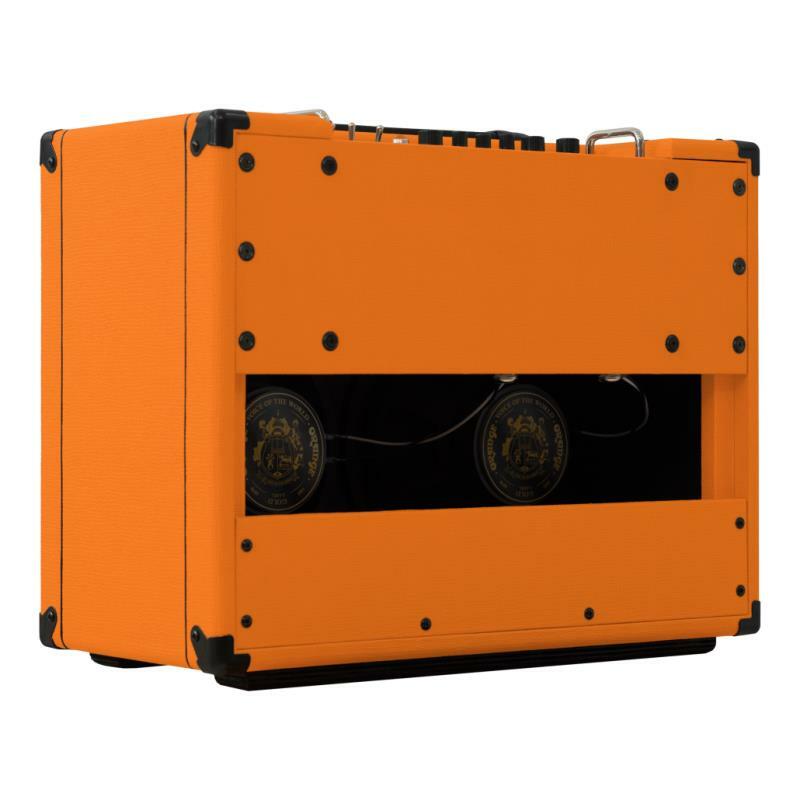 This high level of efficiency, plus a surprisingly gutsy bottom end means brilliant projection whilst retaining the crisp, bell-like chime of a great 10” speaker.